How did Europe leverage its 4G investments? LONDON: The mobile industry’s contribution to Europe’s economy is set to increase over the next five years on the back of increasing mobile operator investment in 4G networks and services, according to a new study by the GSMA. The new report titled, The Mobile Economy: Europe 2015, forecasts that the industry’s contribution to European GDP will increase from EUR500 billion in 2014 to EUR600 billion by 2020, as markets across the region benefit from the improvements in productivity and efficiency because of adoption of new mobile technologies including machine-to-machine (M2M) communications. 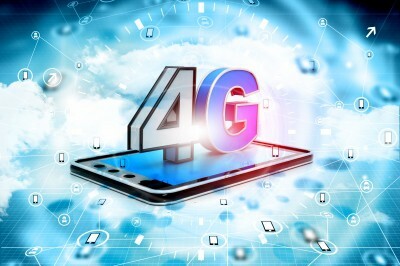 Ongoing mobile operator investments in 4G network quality and coverage across Europe will see 4G accounts for 60 percent of the continent’s mobile connections by 2020, according to the report, up from 20 percent today. 1. There will be 430 million unique mobile subscribers in Europe by the end of 2015, representing 79 percent of the region’s population. This makes Europe the most highly penetrated mobile region in the world, nearly ten percentage points higher than North America. 2. It is forecast that the number of unique mobile subscribers in Europe will reach 450 million by 2020, representing 81 percent of the region’s expected population. 3. Migration to 4G networks is being driven by expanding 4G coverage and rising smart phone adoption. 4G network coverage passed 80 percent of the European population in early 2015 and is forecast to exceed 95 percent by the end of the decade. 4. The improved coverage, a greater number of available devices at a broader range of price points, and increasing use of music and video streaming services are some of the factors driving increased adoption of 4G devices. 5. Smart phones are forecast to account for 76 percent of Europe’s mobile connections by 2020, up from 60 percent this year. 6. Expanding 4G coverage and greater adoption of 4G-capable devices is also encouraging greater mobile data usage. According to Cisco, the average monthly data usage for Western Europe is set to grow from less than 1 GB per month in 2014 to nearly 6 GB in 2019, a 45 percent compound annual growth rate (CAGR). 7. Many European operators are reporting that 4G customers are using more than double the amount of data as 3G users. 8. Revenue from mobile data services is also helping many operators return to service revenue growth after periods of negative growth. 9. The EUR500 billion generated by the mobile industry in Europe last year was equivalent to 3.2 percent of the region’s GDP. The industry also directly and indirectly supported 3.8 million jobs and contributed approximately EUR84 billion to public funding in the form of various types of taxation. 10. In addition to tax contributions, mobile operators contribute to public funding via the payment of spectrum fees. In 2014, for example, the allocation of spectrum licences in countries such as Greece, Hungary and Estonia generated approximately EUR700 million in total for their respective governments. 11. The mobile industry is leading European digital innovation, notably in areas such as mobile commerce, smart manufacturing, smart homes and smart health. 12. The number of cellular M2M connections in Europe is forecast to grow from 68 million this year to 182 million by 2020, a 22 percent CAGR. There is also growing interest in the use of low-power, wide-area (LPWA) solutions, which will play an important role in connecting a range of IoT devices. “Europe’s mobile operators have invested heavily in 4G over the past few years despite challenging macroeconomic and regulatory conditions, and we expect investments in 4G deployments, capacity and spectrum to be sustained for the remainder of the decade,” said Alex Sinclair, Acting Director General and Chief Technology Officer, GSMA. “Transforming Europe into a world-leading digital economy will require an extensive regulatory overhaul that encourages investment in future-proof infrastructure and addresses the current fragmented approach in areas such as spectrum,” he said.